With 90% of consumers reading online reviews before visiting a business, it’s obvious that reviews have become a main element in the consumer’s purchasing decision. Businesses need to value reviews to help their bottom line. When customers are likely to spend 31% more on a business with excellent reviews, its essential to know that reviews equal revenue. It’s even recorded that every one star increase in a Yelp rating means a 5 to 9% increase in revenue. 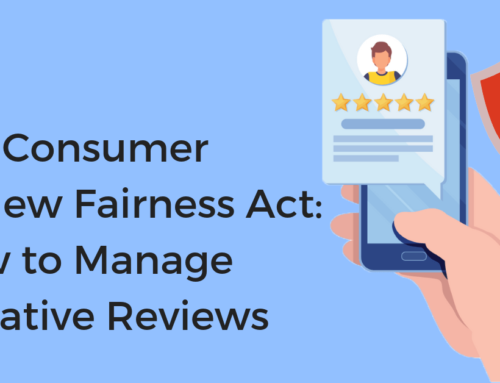 In order to create a strategy maximizing this opportunity, it’s essential to start looking at the consumer’s motivation for leaving an online review. This is the first step in creating a profitable strategy for maximizing reviews for your business. You need to look past the obvious sentiment that reviews are important and ask why? What do Online Customer Reviews do? Online reviews give valuable insight to the business and potential customers. Reviews are valuable resources of information. They provide beneficial insight about staff, customer service or the best products/services you have to offer. Customers are visiting online review sites because they trust each other. They don’t trust businesses and forced market messages. When they have questions your website can’t answer, customers turn to each other. They don’t want to risk a chance of missing out on something, because they didn’t do their research. They want to walk into a business with an informed expectation. In fact, in a Chatmeter study, we found that over 54% of people say they need at least a four or five star rating in order to visit a business. Businesses need reviews to increase their visibility online. When one local search results in hundreds of pages of information; it’s vital to be at the top, because when is the last time anyone went past the first page? In fact, the first page on Google claims 92% of all search traffic. Optimizing your business’s local SEO is incredibly beneficial because with more customers visiting your locations, your business grows. However, before spending their money, customers have to find you first. This is when they turn to search engines to help them find the best closest experience. Search engines like Google, Yelp, and Facebook guide customers to the best experiences possible, so if you have great reviews that are better than your nearby competitors, they’ll boost your location ahead of the rest. Many times, a positive sentiment with your online reviews can be attributed to your cohesive and accurate information online. If customers are easily able to find you, and visit your location the higher your Google Ranking. Today, it’s so common for customers to simply search on their phones “best ______ near me”, it’s essential that your business appears. It’s reported that, local search drives 50% of mobile visitors to go to stores within one day. Reviews save time and impact revenue. As the market becomes more competitive, the consumer becomes more informed. Studies have revealed that online reviews impact 67% of purchasing decisions. So with reviews being more frequently utilized and having more of an impact on customers purchase decisions, it’s essential to peel back the motivation behind consumer reviews. Why do Customers Write Reviews on Online Review Sites? They want to be heard. Customers want the business to know about their experience; good or bad. By not responding to reviews, you increase your customer churn by 15%. If they have a bad experience, they expect to hear back from the business for reassurance. It’s a common misconception that online reviews are bad news, when really it’s a second chance to make it up to the customer. Online reviews allow for that dialogue. Sometimes, its as easy as acknowledging that you’ve read their review, you’ve heard them and understand their concerns. When you respond to a existing customer, it shows future customers that you care. Most people think that online reviews are typically negative and just upset customers complaining. However, it is quite the opposite with the wide majority of reviews are positive. Customers are also leaving positive reviews to reward the company for a job well done. They want to tell other customers and the business about their amazing experience. Responding to these customers, reinforces their connection with the business and give them validation. That validation leads to loyal returning customers and repeat business. Customers want to use their experience to help others. Sharing is in. They no longer want to rely on marketing messaging, advertising, etc. In our world of transparency, they enjoy the opportunity to share their experiences and help great businesses thrive. In addition, customers want to use the power of their voice from reviews to provide honest feedback to those businesses that are not so great and if they never improve, they will likely die off. If customers can use their unique experience to help the next customer, then they will. They get a sense of accomplishment, in helping their online community. What Does This Mean for Your Local Business? Customers are more likely to return to your business when their experience is positive. It also impacts other potential customers because 73% of consumers say positive reviews make them trust businesses more. That trust leads them to choose your business over your competitors. This is a major key in a solid SEO strategy. Listen to your customers because they are telling you what you need in order to succeed. With so much affecting a business’ success, it’s easy to allow customer reviews to fall by the waste-side but that is a cardinal mistake. Reviews are swaying customers like never before and if your not taking advantage of their feedback, you will fall behind the competition. Find out what your customers are saying about your business and how to stay above the competition with a Chatmeter consultation where we will complete a brand analysis on your individual locations.